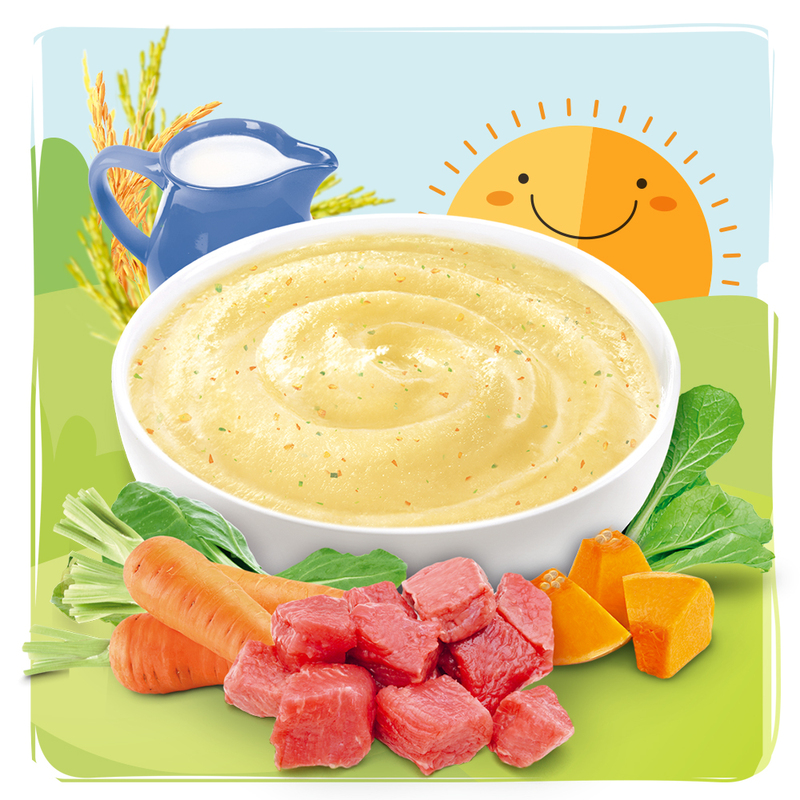 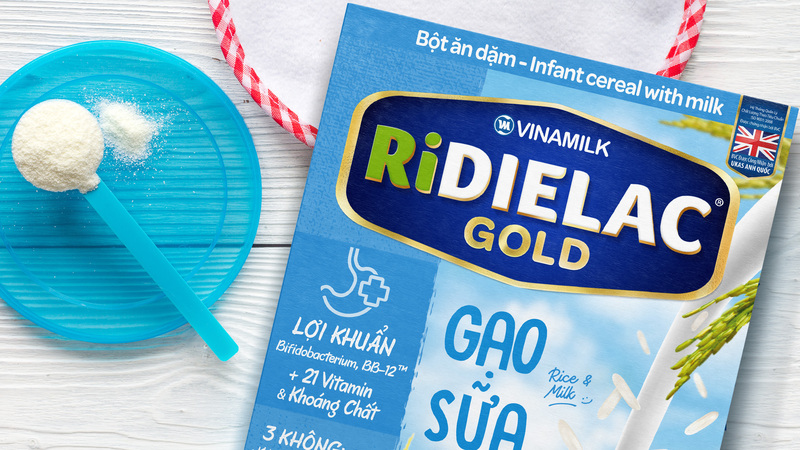 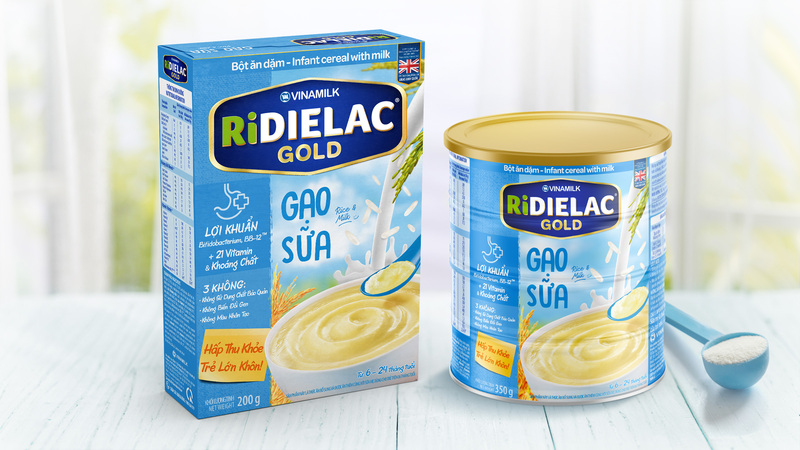 Vietnams most well known baby cereal brand RIDIELAC was relaunched by THE CIRCLE for our client Vinamilk, Vietnams largest dairy manufacturer with an annual revenue of over 3 billion USD. 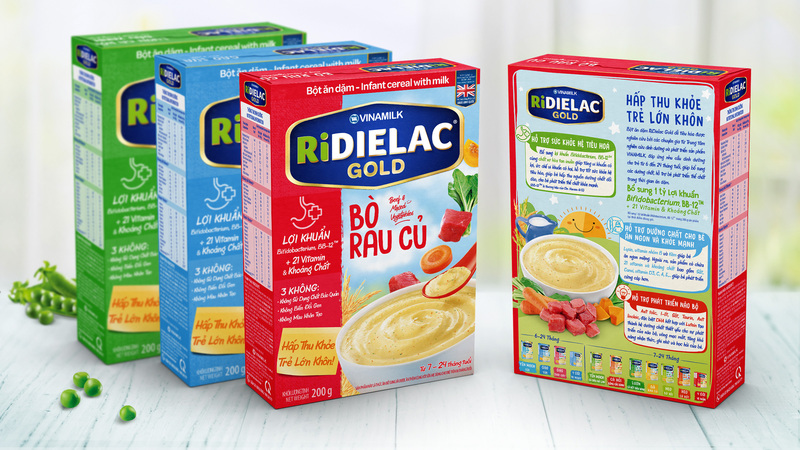 The brand’s portfolio which consist of 10 Flavour variants and a total of 22 SKUs was restructured under a clear master design, build around appetite appeal and a clear clear variant communication system. 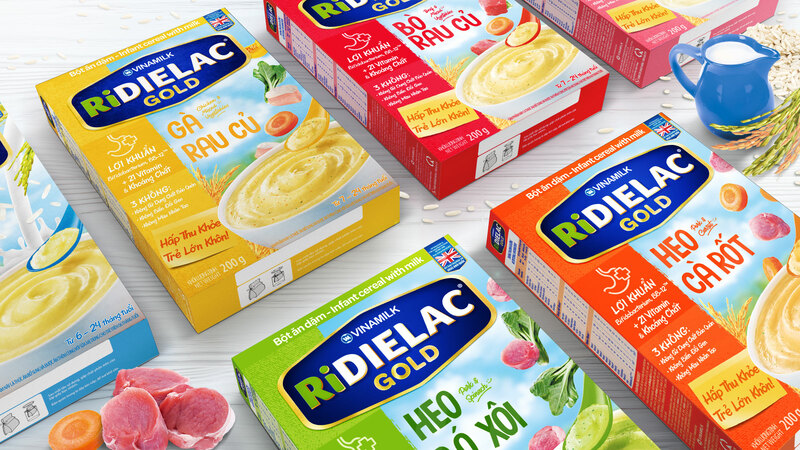 The colour-coding space on pack is used to attract the consumers eye to the brand’s functional benefits. 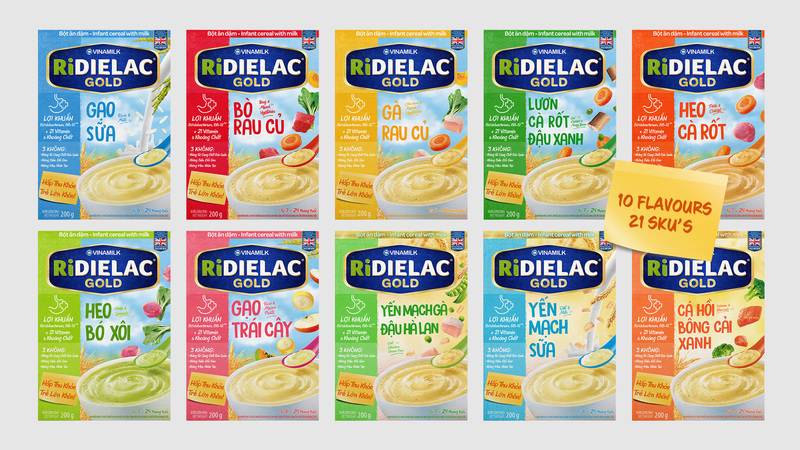 The newly developed pack structure was applied to 10 Variants giving each variant it’s own unique look, while providing a strong brand shelf impact when blocked together.